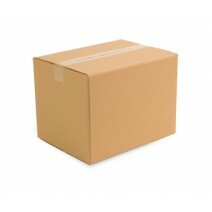 This box consists of a mystery mixed bundle of natural beauty products with a minimum RRP value of £100. Products are either just past their BBD (no more than 2 years beyond BBD), or lightly damaged and still within their BBD. Grab a bargain and order your mystery box of natural beauty products today. Note: Because of the nature of this product, we cannot tailor to any specific requests - this is a mystery mixed bundle of goods, offered at a huge discount.